Hello, my dear fashion addicted ladies! 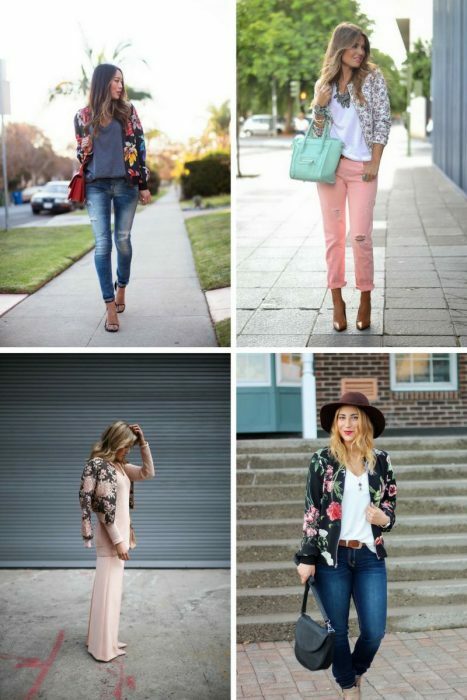 In this post, I will show my favorite spring outfits completed with floral jackets. I am pretty sure you gonna fall in love with almost every style showcased below. This bright pattern is ideal to underline your individuality and true style. Believe me, there are thousands and more ways how to wear this trendiest piece in real life. 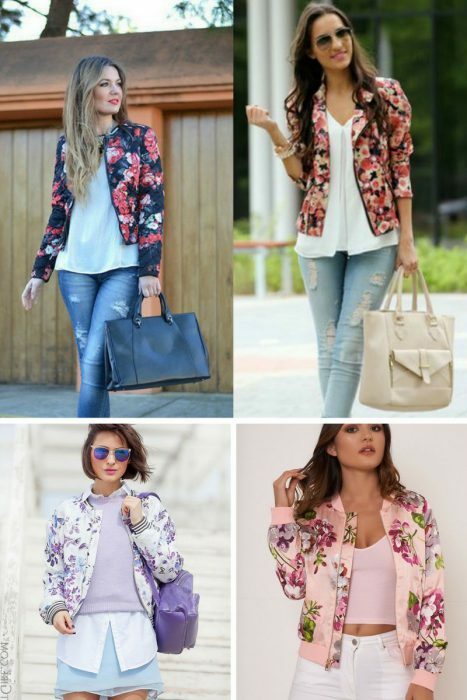 Floral jackets can be found in various colors and styles, so no worries, as you definitely gonna find the right one for you. 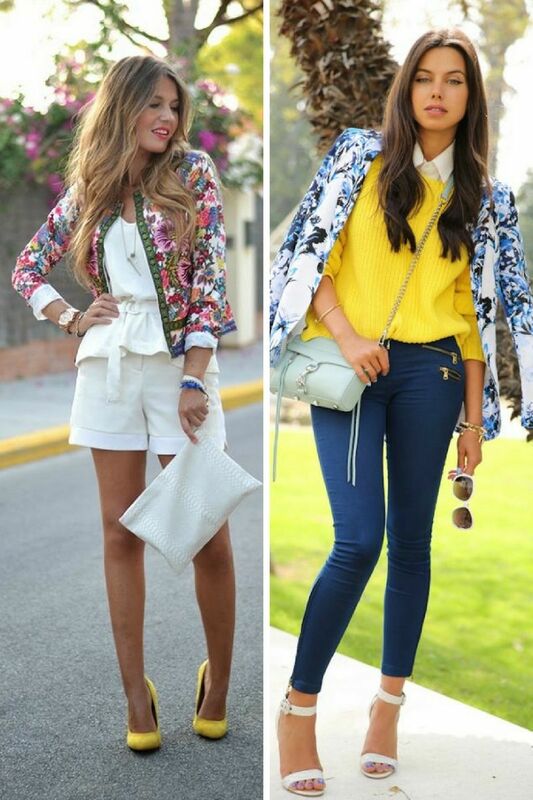 If you find your dress, jumpsuit, separates quite dull and neutral colored, then you can make them look less boring by adding one of these jackets. 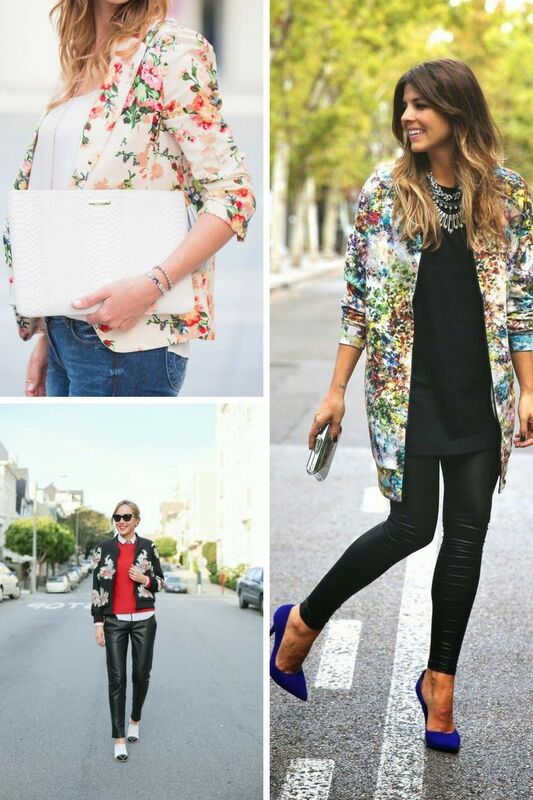 No matter if you are about to wear a casual or dressy outfit, floral jackets can update any style. 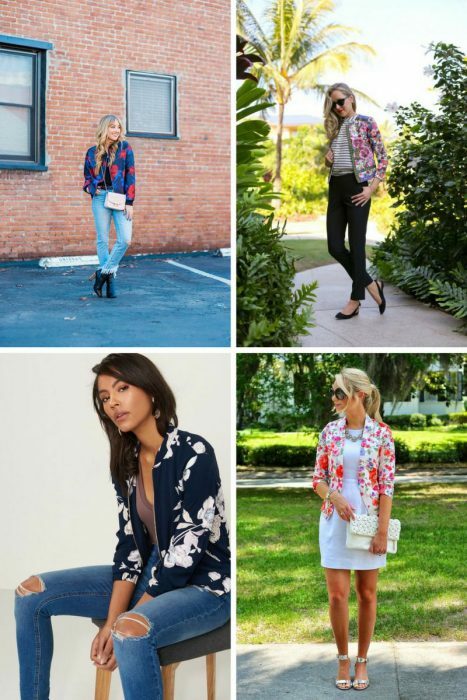 You can try a pretty floral bomber with a white background and team it with a white top and blush slim jeans, either make a wow statement with a sophisticated black bomber in dark florals worn over a black leather dress. 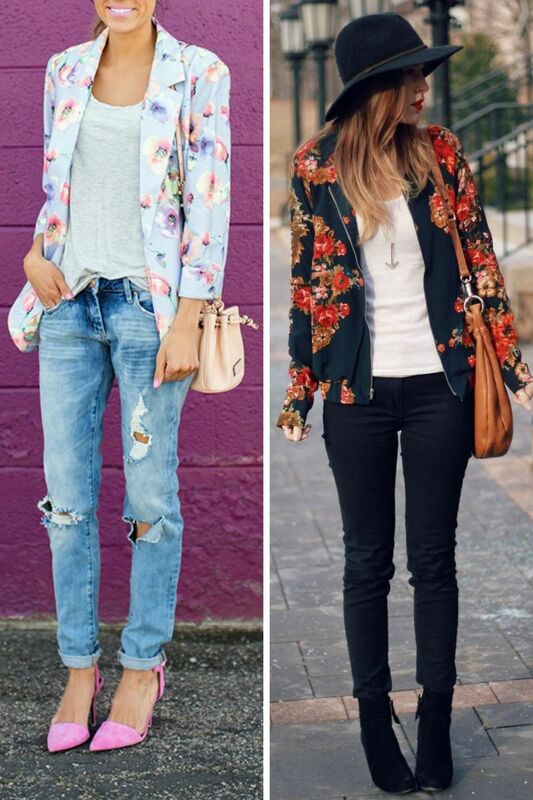 As you can see, floral jackets look best when worn over one colored clothes, but still, you are free to mix and match patterns and prints. Florals look pretty cool with stripes, so how about teaming floral jacket with a striped dress. Anyway, scroll down to see my favorite Spring outfits to copy this Spring season.